After a week of diving in the Bahamas I went to the touristic capital of Mexico, Cancun, in attepmt to dive with sailfish. 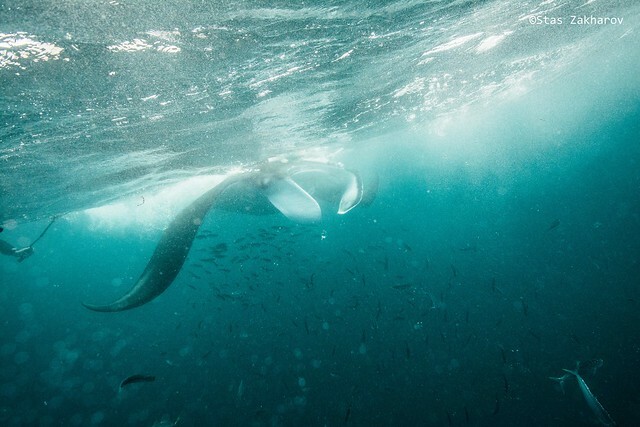 In the end we didn’t found any sailfish because of horrible weather, but we saw giant oceanic mantas, mobulas, thousands of birds, black iguanas, horseshoe crabs in mangroves and the main stars of the show – bullsharks. From November to March, bullsharks aggregate in Playa del Carmen which is one hour drive from Cancun. Here you will find bullshark diving without cage. 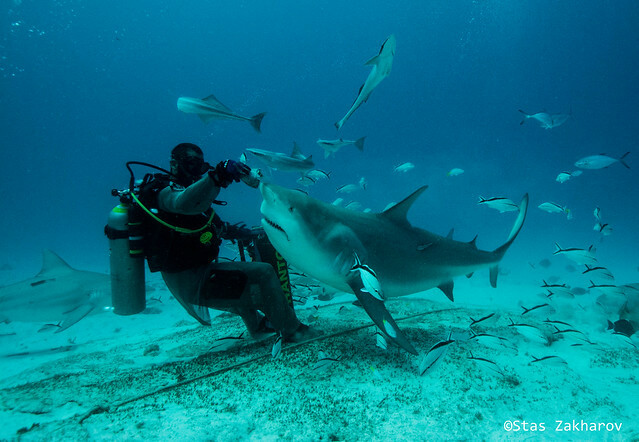 After Walker’s Cay in the Bahamas was closed for divers, Playa took the leadership for bullshark diving in this region. Facts about bullsharks: This shark species is responsible for the most part of unprovoked attacks on humans. The reason is shark’s metabolsim which allows shark to enter fresh water, so they swim into the rivers and attack swimmers in murky water. In Africa they are often seen in Zambezi river, which have given the shark it’s local name – Zambezi shark. This species is wide spread, it’s seen in tropical and equtorial coastal waters all around the world. Also, bullsharks hold a record of strongest bite among sharks. You can find a great amount of species right in the city. This, for example, black iguana, but if you’re more lucky, you can meet a salt water crocodile in mangroves.